US and Canadian customers, see terms for shipping rates. Email me first to receive a shipping quote for your order. 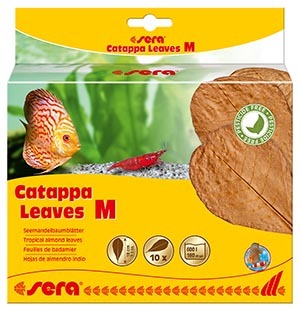 sera® Catappa Leaves for natural water conditioning. Tropical almond leaves support natural behavior and readiness to spawn in ornamental fish and shrimps. Furthermore they prevent bacterial and fungal infections. 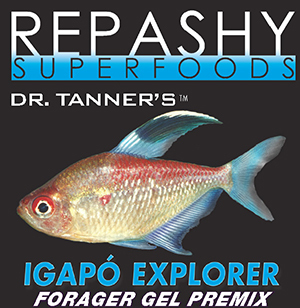 Due to their astringent properties, they support the healing process after injuries. Shrimps, other crustaceans and catfish readily accept the tropical almond leaves as food. Leaves will sink within 24 – 48 hours. Tip: They sink immediately and are easier to digest by pouring boiling water over them in advance. Active substances are released within 2 – 3 weeks. sera® Alder Cones for lowering the pH. Alder cones prevent fungal infections and egg fungus in a natural way. They support natural behavior and readiness to spawn. Alder cones are suitable for preparing black water, which recreates the natural living conditions. 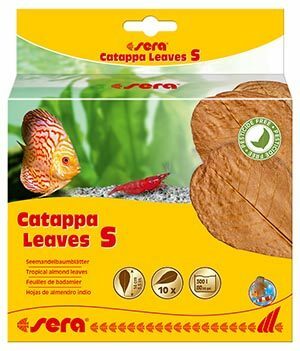 1 cone per each 10 l (2.6 US gal.) of aquarium water can be added. Dosage can be up to 1 cone per 1 l (1 US quart) for supporting disease treatments. However, the pH value needs to be monitored when doing so.